Jami and I met of all places at a local Crossfit gym. Jami works for the family business at Howell Refrigeration and I am in Pharmaceutical sales. We both frequented many of the same Crossfit classes after our work days and eventually got to know one another and began doing many of the workouts together. We are both competitive people and it became somewhat of a game to see who could finish the workouts first! I was planning on spending July 4th weekend at the lake with some friends and I invited him to come along. The rest is history!!! We are now Crossfit Level 1 certified coaches and help coach a couple classes a week at Crossfit Provision on the south side of town. 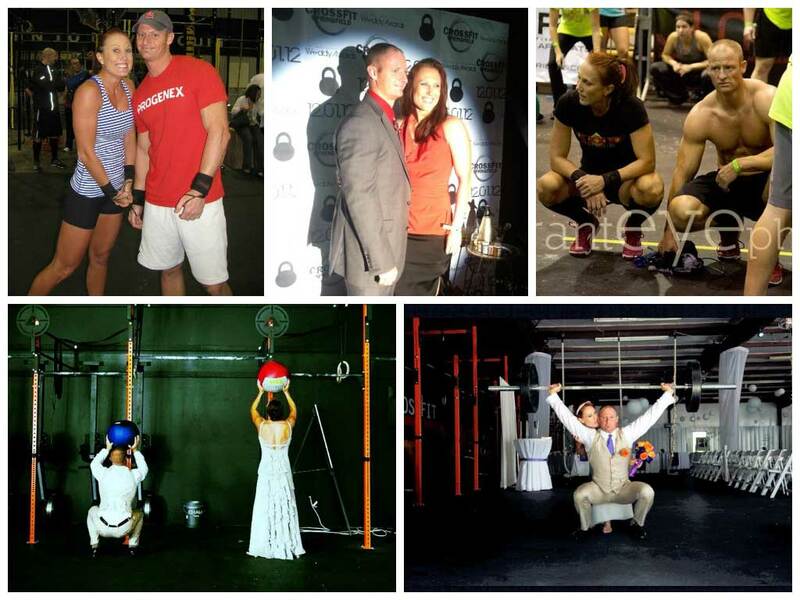 We have even been lucky enough to compete in Crossfit Springfield’s Couples Competition the last two years which has been an amazing experience. Jami proposed at the lake where we had our first official date on February 17th of this year. We had originally planned to have a destination beach wedding but our children really wanted to be a part of the special day. The owners of Crossfit Provision offered up the gym to have our wedding and allow our children to be a part of the special day. We thought it over and felt it would be a perfect location since Crossfit is such a big part of our lives. We will be transforming the gym into a wedding venue on July 20th and having a very different, and most of all, fun wedding! We also can’t say enough about Randy and the rest of the sales staff at Mitchum. They let us take our time choosing the perfect setting and Randy stepped in to help Jami with the rest. We look forward to joining our two families together and are so thankful to everyone who has helped us fall in love along the way.